Richard Phillips had an estimated 500-1000 copies of the book, ‘Traditional Sail – A panorama of Heritage’ (not 7000 as the Daily Mail reported) collapse on him. The books were stored in his loft, but the weight became too much, resulting in the ceiling collapsing. Firefighter Ian Smith from Maldon fire station said, “Carers raised the alarm when they were doing their routine calls this morning. “They discovered that the elderly gentleman they were visiting was trapped upstairs in bed following the collapse of his bedroom ceiling. 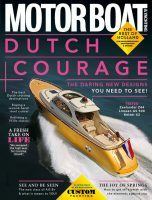 Had the man been trapped by Motor Boats Monthly magazines, he would at least have had plenty to read through the night.